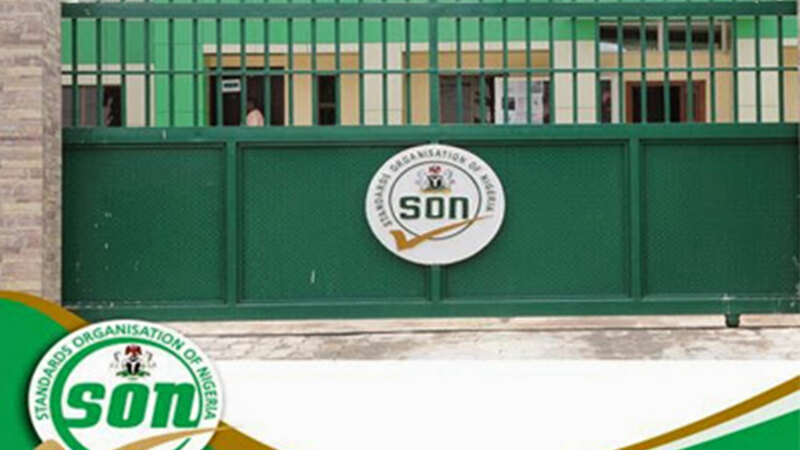 The Standard Organisation of Nigeria (SON), in line with its Mandatory Conformity Assessment Programme (MANCAP), has commenced with the certification phase of Techno Gas’s Liquefied Petroleum Gas (LPG) gas cylinder manufacturing plant in Lagos. The regulatory organisation described the process as the high point of the procedures required for the indigenous oil and gas company to roll out its 3, 6, 12.5 and 50kg cylinders into the Nigerian and West African markets. The Head, Mechanical and LPG Directorate, SON, Nwaoma Olujie during the last certification visit to the company described the phase as crucial because all locally manufactured products must conform to the Nigerian Industrial Standards before they are presented for sale or for export. Techno Oil and Gas, an indigenous company intends to commence the production of cylinders from its LPG manufacturing plant which they described as the largest of its kind in sub region. The Managing Director of Techno Oil, Tony Onyeama cited the plant as one of the dividends of the local content initiative of the government, which encourages local companies to take up ventures that will make Nigeria self-reliant. “It will generate 6,000 direct and indirect jobs in the years ahead,” he added. Reiterating the company’s commitment to further invest in the LPG value chain, Onyeama appealed to the Federal Government to introduce a credit financing scheme to assist Nigerian households to purchase start-up kits to switch over to LPG. According to him, government should introduce targeted policies to solve the problems of acceptability, availability, awareness and affordability of LPG, as well as make friendly policies to encourage investors to develop the sector. Olujie who expressed her satisfaction with the state of the art and high-tech processes at the plant, noted that it would be a huge boost in the effort of the Federal Government to save scarce resources on importing products that can be manufactured locally. However, when The Guardian reached out to the President of the Nigerian Association of Liquefied Petroleum Gas Marketers (NALPGAM), Noskhare Ogieva-Okunbor, he said the manufacturing plant was a step in the right direction because it could be considered as the best thing to happen in the industry. He noted that marketers would be glad to associate themselves with an indigenous company with local production of gas cylinders because it would improve the usage of LPG in the country. Giving his comment on competition, Ogieva-Okunbor said over a phone interview that products from the plant stands a chance to compete with the international market, however, it would all depend on the marketing strategies of Techno Oil and Gas.“Their marketing strategies and market friendliness and quality would determine the patronage of marketers,” the NALPGAM boss added.